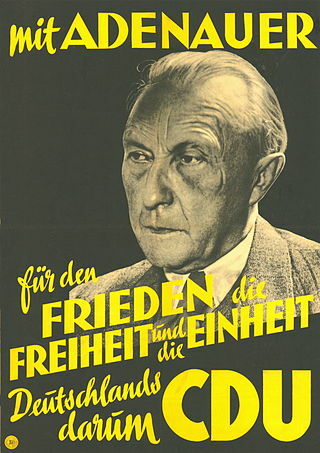 One of the first Stalin Doctrines to introduce into the CDU party was Stalin’s Stair Doctrine. The Stair Doctrine claimed that it was quite normal and nothing dangerous of making ‘stairs’ going into a ‘gas chamber’. Through the Frankfurt Auschwitz Show Trials the Stair Doctrine got adopted by the CDU party which not even Stalin had tried to do with Birkenau as he let it all open. With Helmut Kohl and his clandestine Stalinist friends it became Dogma Absolute. Then on February 2008 the whole Stalin Doctrine farce came wide open. Now Helmut Kohl and his CDU party could no longer hide the fact that STAIRS can be dangerous. The great Stair Denier Helmut Kohl fell on his own stairs severely injuring himself forcing him onto a wheelchair, becoming a virtual vegetable from the fall. That does not mean the CDU Christian party relinquished the Stalin Stair Doctrine. They and their party friends made the Stalin Stair Doctrine even more severe. Today in Germany you get 5 years in Concentration Camp should you doubt the Stalin Stair Doctrine. And with Helmut Kohl in a wheelchair, this seems to strengthen their belief in Stalin’s Stair Doctrine. 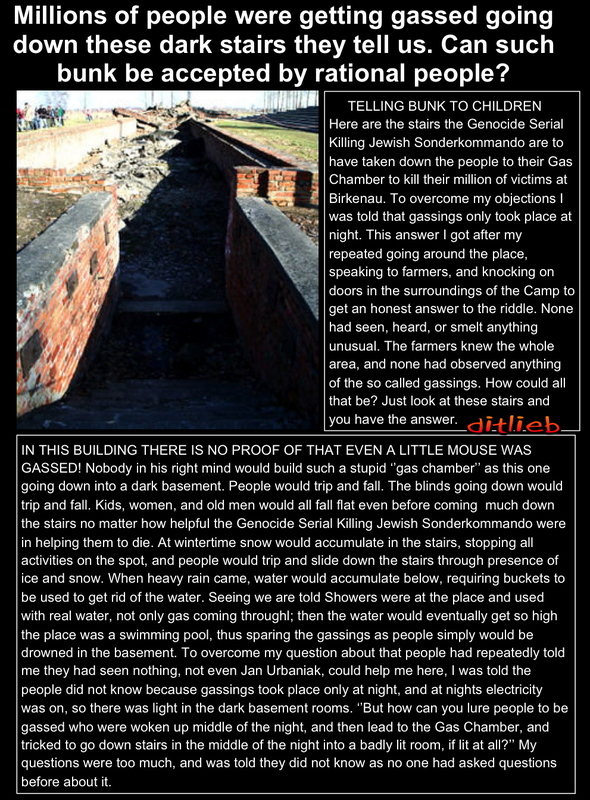 THE QUESTION WAS: Because the alleged Birkenau ‘gas chambers’ had stairs going down into it, why would the Germans build such stupid ‘gas chambers’? It was obvious these were not ‘gas chambers’ but simple morgues for the crematory ovens above ground. After Ditlieb Felderer asked how people were brought into the Birkenau alleged ‘gas chambers’ who were on wheelchairs, Helmut Kohl and his friends had Ditlieb Felderer imprisoned inside Concentration Camps. Such a question was taboo and Blasphemy according to the various political party members who all denied Free Speech on such a simple matter as this. Not even Stalin went that far! On February 2008 Helmut Kohl fell down the stairs gravely injuring himself. 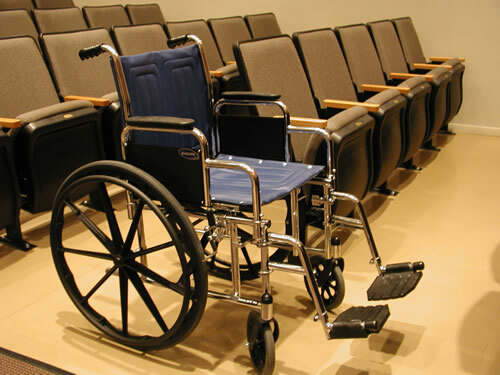 He has since been permanently on a wheelchair. From that day Helmut Kohl is faced to ask himself this question, which he denied Ditlieb Felderer to ask.